Blue tarantulas may help make better wide-angle computer displays #Biomimicry « Adafruit Industries – Makers, hackers, artists, designers and engineers! 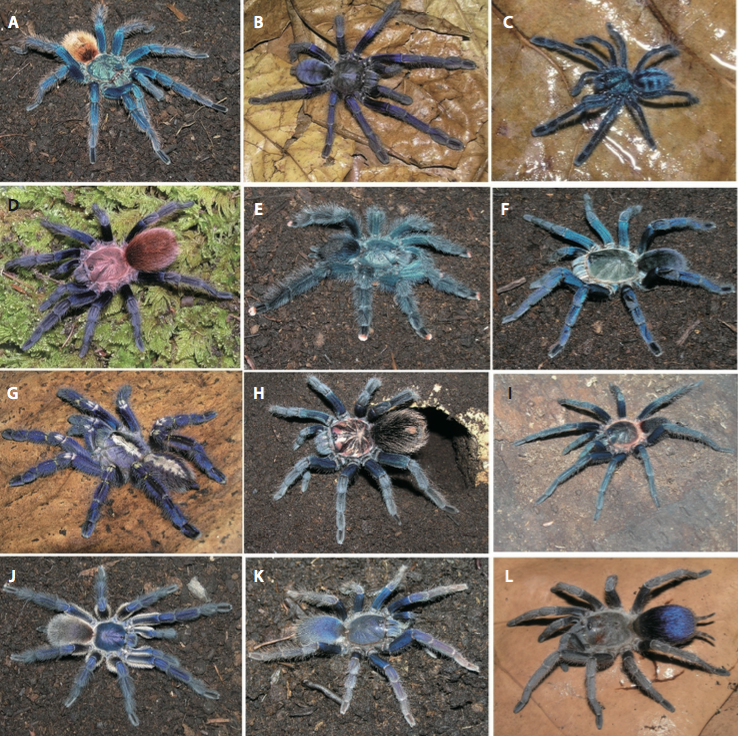 the blues that tarantulas sport aren’t all that iridescent, at least not to human eyes. This means that these colors don’t change in intensity or hue when they’re seen from different angles, the way most structural colors do in nature. And that’s intriguing news — even for people who don’t think tarantulas are cute bundles of joy. Figuring out how tarantulas pull this off might lead to less energy-intensive wide-angle displays for phones and computers.